This blog is for any adult who dreams of learning Spanish or Mexican life but believes it's too late to learn. It's not too late. Let me help and encourage you. How did I get to this point? Standing in the plaza of Oaxaca, a Mexican city famous for indigenous culture, I watch with envy as my middle school daughters chat with the merchants. They speak Spanish but I don’t, so I’m shut out of these special moments. I decide to learn Spanish in at home, but I'm frustrated because I can't form Spanish words into sentences. I was at the point of giving up Spanish when a teacher suggested I take Spanish immersion in Mexico, although I fear it’s already too late for me at the age of 62. Two weeks of immersion lights a fire; four more immersions follow, leading to Spanish competency in speaking, writing, and reading as well as Mexican culture and customs. Desire and discipline are the keys to learning, and as mature adults we are better-equipped than youths to learn a language. Learning Spanish has opened doors for me, leading me down paths I wouldn’t have seen, introducing me to friends I wouldn’t have known. I joined a Hispanic congregation, took a leadership role, used my career contacts and skills to help undocumented immigrants protect their civil rights, and helped their children enroll in college. I trained a Mexican charity in cause-marketing to help it raise funds for Mexico’s food banks. I taught English to adults in an indigenous village of Tlacochahuaya. The gifts of a second language are the changes the language works in our thoughts, feelings, and perceptions – transformations available to anyone who wants them. You CAN do it if you think you an. Si se puede! May 30th is the 150th anniversary of celebrating and remembering deceased veterans. It began in 1868 as Decoration Day to commemorate the soldiers slain in the Civil War, and later those lost in the Spanish-American, World War I and World War II. As a child in the 1950’s, we celebrated the day in quaint ways that seem almost relics from another century. I remember Decoration Day (as we called before 1971) as a more solemn and communal occasion than it seems after changing its observance from a fixed date to the end of a three-day weekend on the fourth Monday in May. Along the way, we may lost much of the communal solemnity. Decoration Day always occurred during the most glorious weather southern Minnesota can offer. A time to honor the dead at a season of new life. The trees were leafed out, wild phlox and geraniums bloomed in the woodlands, orioles and meadowlarks trilled from the fencerows and cottonwood groves. This day meant two things important to this schoolboy: my little sister’s birthday and the last week of classes before summer vacation. 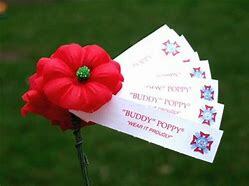 My memories of our small-town Decoration Day celebration began with the sale of buddy poppies in the Rexall drug store, the Ben Franklin dime store and other shops. Veterans of World War II sold them to raise money for comrades disabled in conflict. At the age of 10 or 11, I couldn’t explain why I bought one except everyone expected me to. Like going to church, I did it because–well–everyone else did it. It was part of being an American to wear this icon of remembrance and sacrifice. 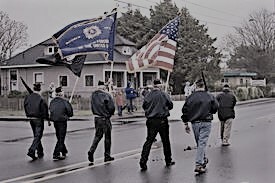 On this day, the merchants of Janesville hung out flags and there was a parade led by the VFW honor guard carrying the American flag followed by the drill team marching along, the sun gleaming off their chromed helmets and the barrels of the Springfield rifles on their shoulders. Behind them came VWF Women’s Auxiliary and the high school band playing patriotic songs for this solemn occasion. If there were speeches, I don’t recall them but they weren’t things boys remembered. Decoration Day meant a trip to the Janesville Cemetery on a knoll a mile east of town. In the days leading up to the celebration, families raked the ground over the graves, mowed the new grass and decorated the headstones with flowers (real or made of paper), and small American flags. Our family went to the cemetery with Aunt Faith to visit her father’s grave. On the headstones I saw many familiar surnames, the ancestors of my classmates and school chums. Even as a boy, I felt a palpable but still inexpressible link connecting me to those lying beneath the headstones. Almost every man I knew when I was a boy had served in World War II in some capacity. Uncle Walter, our neighbor’s brother, lost an eye fighting the Japanese. Our dentist served in the cavalry (without horses), mother’s cousin was a B-24 crew chief and my uncle Rob ran an Air Force fighter communications network in China. The poem’s elegiac meaning made little impression on me until the summer of 1961, after I graduated from high school. I visited Flanders in Belgium as part of an air cadet exchange with other NATO countries. Belgium is one tenth the size of Minnesota and a battleground during much of its history. Flanders lies north of Brussels, Waterloo, the site of Napoleon’s defeat in 1815, lies just south of it and Bastogne, a major battle of World War II, lies to the east. During that month, our Belgian Air Force hosts showed us historic sites from many wars. We laid a wreath at the tomb of the unknown and our contingent sat atop the hull of a tank destroyed in the battle for Bastogne, sixteen years before. 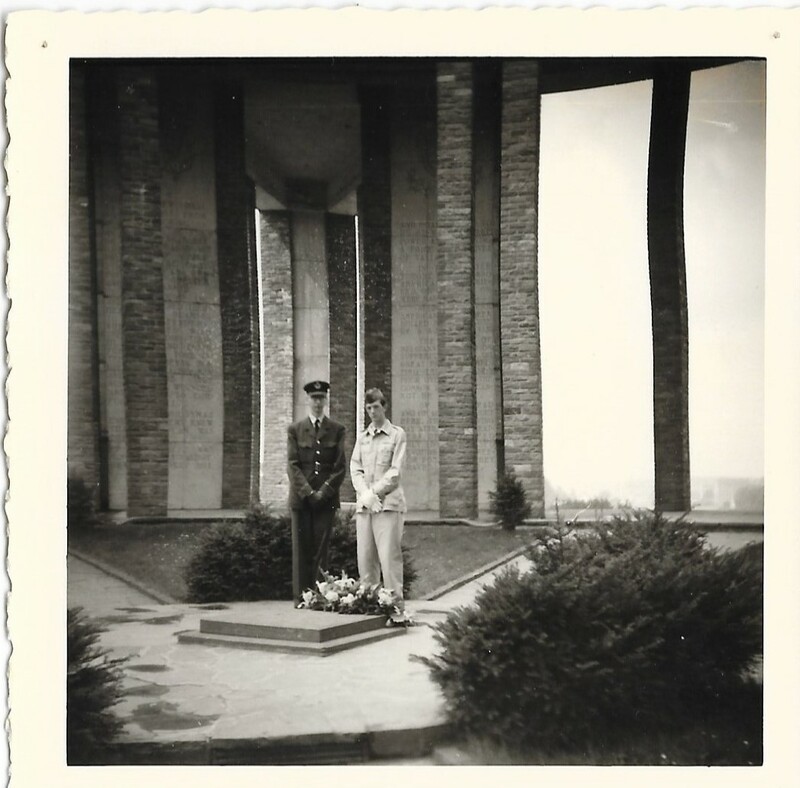 I returned home from Belgium amid a national mobilization for conflict with the Soviet Union over access to Berlin. War seemed very close. 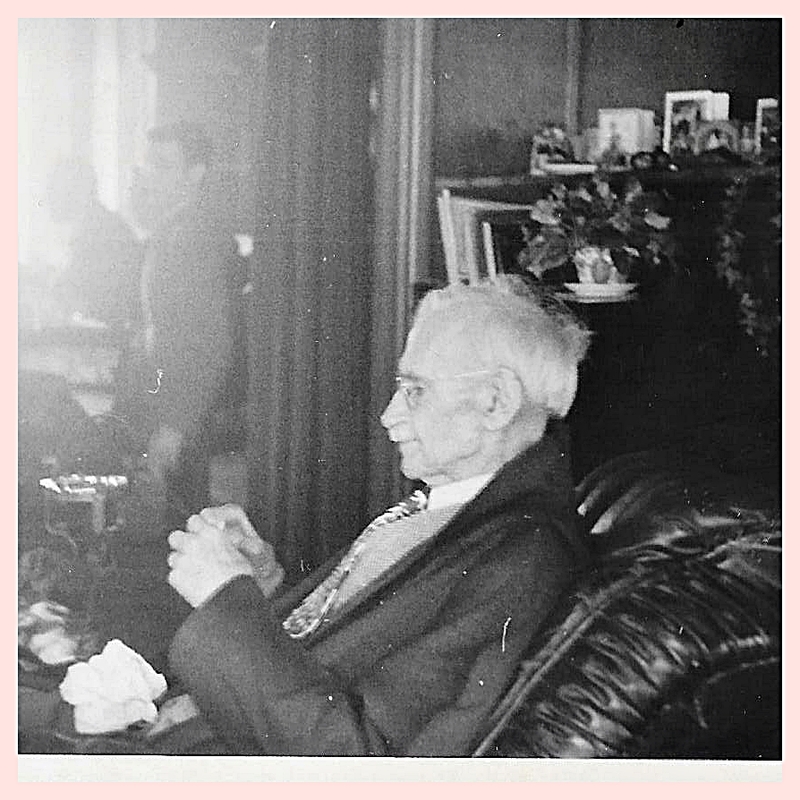 The grief of the Civil War, the Great War and World War II touched virtually every American community and nearly everyone knew of a family that had lost someone. Congressional declarations of war and shared sorrow once mobilized the nation into a common effort. For 30 years, compulsory military service gave young men a common and transformative experience and every family a direct stake in going to war or opposing it. John F. Kennedy’s call to “ask what you can do for your country” has lapsed with time. The abolition of the draft and reliance on a wholly professional military has made serving one’s country an option, a choice but not a shared responsibility. I fear this change has made us numb to the conflicts ostensibly waged for our protection. And with this disconnection, we may lose our understanding of Memorial or Decoration Day as a time of comunal remembrance. In this era of on-line sales, after more than a century as retailing behemoths, the business press predicts the imminent demise of Sears-Roebuck & Company and JC Penny. Both are institutions founded in an age before rural free delivery, widespread telephone use and, certainly, the internet. These mail order hosues were fixtures in thousands of small towns along with the Ben Franklin five and dime, Rexall Drug, A & W Root Beer stands and Dairy Queen. Growing up on a farm in the 1950’s, the Sears-Roebuck catalogue was definitely a “wish book.” With more than 500 pages, my sister and I would spend rainy afternoons pouring over the pages, selecting things we wanted but knew we couldn’t afford. One can dream. This catalogue was the Amazon.com of its day. Every summer, Mom and I riffled through the catalogue, selecting the clothing for school in the fall and winter. I wore Roebuck jeans that didn’t have the same cachet as Levi’s. Of course, I had western-style shirts with pearl-like snaps instead of buttons. But no cowboy boots. Not practical, especially when my growth spurt started and shoe sizes expanded. Then it was my sister’s turn to pick her clothes. Before ordering, my sister and I stood straight as our mother measured our height, waist and chest to get the right size with room to grow during the year. One of us carried the order in its envelope up the hill to the mailbox. Then we waited. And waited. And waited until the mailman blew his horn and dropped a box by the mailbox. Our clothes! The box was usually so big we had to fetch it in the pick-up. One by one, we took out the items. Ah, the aroma of new clothes. Then we tried on each item to be sure of the fit but we couldn’t wear anything until the first day of school. This was like an early Christmas! You could buy anything from Sears & Roebuck—anything! 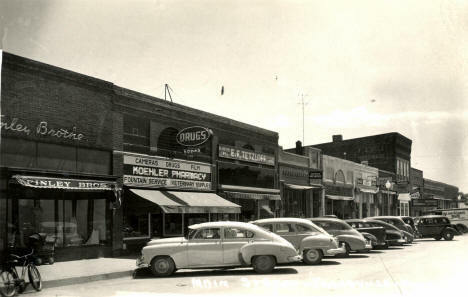 The catalogue carried hardware, furniture, Kenmore appliances, Craftsman tools, sewing machines and even kits for houses. From 1908 until 1942, Sears sold pre-fab houses. The parts for the house were shipped in boxcars. Each house weighed up to 25 tons and contained more than 30,000 parts. Pre-fabs were cheaper to build and accommodated modern conveniences like central heating, electricity and plumbing. As I look at old catalogues (on-line) with pictures of the Sears houses, the designs look familiar and I wonder how many of those houses I have visited without knowing they were pre-fab? At least one house on a neighboring farm appears to a Sears house. For many years, we didn’t buy a lot in the stores because it was cheaper to order goods from the Sears-Roebuck catalogue. We did it for the same reason we order books, clothing, cameras, yarn and household good from Amazon. There is a cycle to this, I think. The Sears catalogue business offered rural residents an alternative to the narrower selection and higher priced goods of general stores. As the Sears business grew, and the population became more urbanized, it invested heavily in stores at shopping malls after World War II while its chief competitor, Montgomery Ward, did not. Sears continued to grow and diversify. It became the nation’s largest retailer until the 1980’s with the rise of Walmart. Since then, its fortunes have declined in the face of discounters. Now Target and Walmart are hard-pressed by competition from Amazon. A Sears catalogue became archaic almost as soon as it left the press because the next wish book was in preparation. Many a catalogue ended its life in the little house with a crescent-moon on the door. Our neighbors didn’t have an indoor toilet until a decade after they bought a black and white television to watch wrasslin’ matches between Hardboiled Hagerty and Farmer Marlin. For toilet paper, they used last year’s Sears catalogue. A sad end to a volume of wishes. As I said, things go in cycles and maybe the antidote to Amazon will be the ‘buy local’ movement. Time will tell. Good Friday? As a boy, I wondered why they called it good? What was so good about getting killed? As a ten-year-old in the 1950’s, I took certain things for granted because adults didn’t encourage questions about basic assumptions. And besides, we lived on a farm and I had other, more immediate things to do—like feed the chickens. That’s just the way things were. 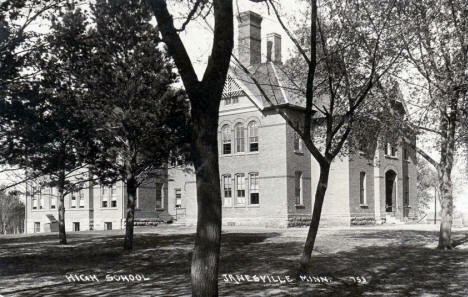 Our family shopped in the Minnesota village of Janesville, population 1,100. It had a stoplight, a town cop, a volunteer fire department, a public school and one of every necessary commercial service: grain elevator, drug store, coffee shop, gas station, furniture store-funeral home, hardware, dentist, doctor, veterinary, butcher, beer joint, five and dime, feed and hatchery. There were three active churches: Trinity Lutheran (Missouri Synod), St. Anne’s Roman Catholic and St. John’s Episcopal. In those days, your particular denomination defined you and your associations socially much more than it does today. Your church reflected your ethnic origins, beliefs, state of spiritual salvation (as seen by others) and whom you might marry. The German immigrants and their children attended Trinity Lutheran, the children of Irish and Polish immigrants went to St. Anne’s and the Yankees, like my family, belonged to St. John’s Episcopal. Ecumenism wasn’t in anyone’s lexicon and a “mixed marriage” was an anathema, a kind of cultural treason that could get your exiled from the family. The Missouri Synod church was a particularly strict and conservative sect. When boys were invited to join the town Scout troop, the Lutheran pastor said “no!” because—God forbid—his boys might come into contact with Catholics! 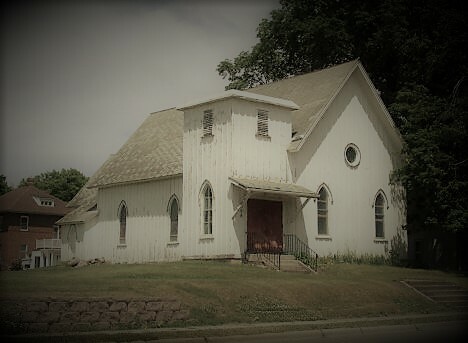 To keep the children faithful, the church had an elementary school (grades one to eight) conveniently located across the alley from the public school. We farm kids lived on adjacent to each other and rode the yellow buses to our respective schools. During recess on winter days, we public school boys took on the ‘Dutchies’ (for their ancestry) in epic snowball wars across the alley. We organized. Those with the strongest arms threw and the rest of us packed ammunition. It didn’t matter who threw first. The tribal response always came in force and dense salvos of hard-packed snowballs flew back and forth. Sooner or later, someone laced snowballs with pebbles. Tears and blood followed. When the bells rang, the day’s war ended and we returned to classes gloating over our victories. Later, we boarded the buses and sat with the foes we fought so viciously earlier in the day. No one held a grudge. Despite our sectarian prejudices, Lutheran, Catholic or Episcopal, we reverenced Christmas, Holy Week and Easter. That said, we had no ecumenical services until after Vatican II, and then only on a limited basis. Instead of ecumenism, and despite the narrower opinions and preferences of that time, we gave each other space to observe holy days and ceremonies without interference or criticism. Everyone celebrated Christmas in a cheery and quasi-secular way but Good Friday felt different. It passed as a subdued afternoon, as if a storm brooded, and adults said little and children were shushed. Whether by custom, ordinance or informal agreement, Janesville shut down between the hours of noon and three o’clock. The bank, drug store, five and dime, grocery and even the bar closed to observe the hours when Jesus suffered on the cross and darkness covered the land. Many of us sat in our respective churches, our altars bare, the crosses draped in black veils and listened to the Gospel lesson about betrayal, death and forgiveness—the same Scripture in each church. During these hours of sober self-examination rose the prayers asking forgiveness of our sins. Now, looking back from a half-century on, I know our differences in ancestry, ethnicity and prejudice blinded us to what we shared in common. Maybe that’s why it was a good Friday. In those three hours, we were of one spirit in reverence for something we held in common even if we refused to recognize it. These days, three hours of publicly shared and reflective silence could help us all see something greater good we share lying just beyond our immediate prejudices and passions. Thanksgiving occupied a special place in the year on our Minnesota farm and marked the end of the crop year. During the eight months between April and November, we tended the fields; tilling planting, cultivating, harvesting and then plowing. Every day, we minded the sky for the perils of the season—late spring frost, heat waves and drought, cloud bursts and flood, hail storms and early snow. Any one of these could wipe out a season’s labors. Most years, we sprinted through two months of fickle autumn weather as it slid from summery to wintery, picking corn, plowing stubble and culling the livestock before freeze-up and snow. After Thanksgiving, we relaxed a while. 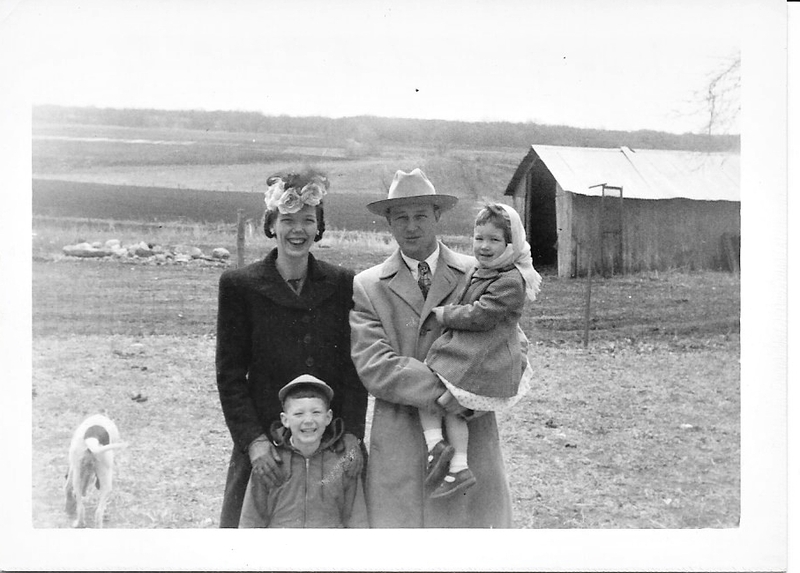 Our first on-farm Thanksgiving occurred in 1947 and the last one in 1997. 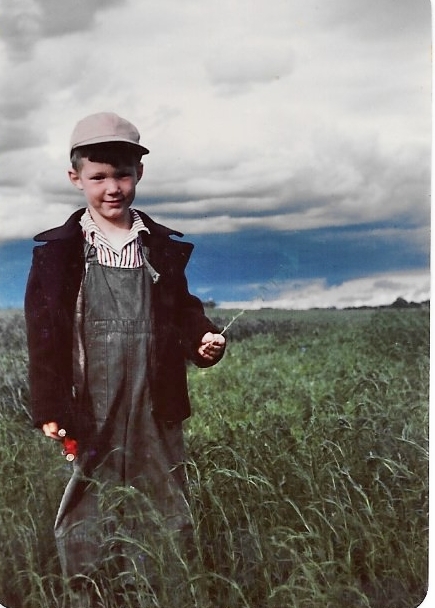 I was four years old that first year when my mother roasted a goose and cooked the garden vegetables she raised. November snow fell early. Five acres of corn remained unpicked and the stubble stood plowed. Both must wait until spring. The cars didn’t start for several days. Yet, my urbanized New Jersey parents were grateful. They pulled up stakes that April to go farming in southern Minnesota despite the absence of agricultural experience. They were still in their twenties and still immortal. We lived in a draughty house in need of paint. Rusty barbed wire fences kept livestock away from the house. Small hillside fields bordered with weeds ringed the slough in the center of things. A line of woods marked the winding river half a mile away. Nothing about this place predicted prosperity. But come it did. Drainage and tiling turned the slough into rich bottomland. Contoured fields arrested soil erosion, check dams formed small ponds and the woods improved under professional management. 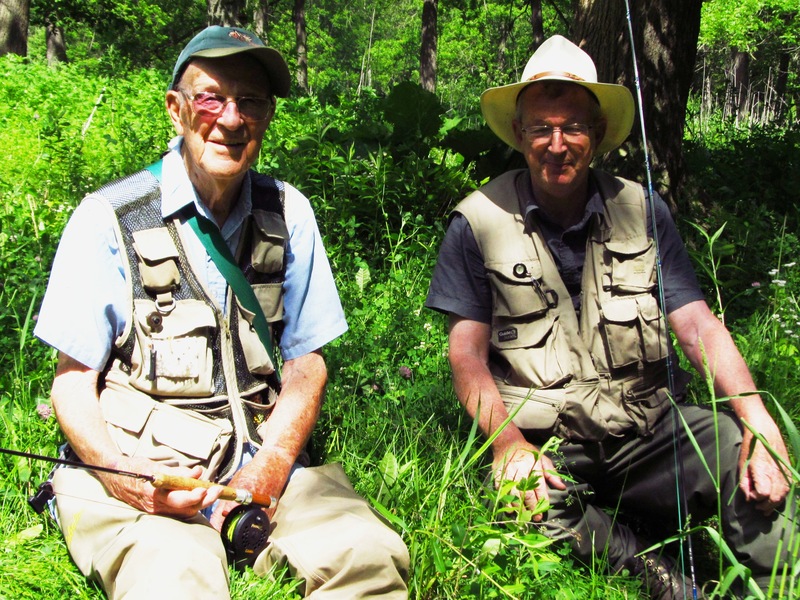 Wherever he could, dad planted trees and created niches for wildlife. 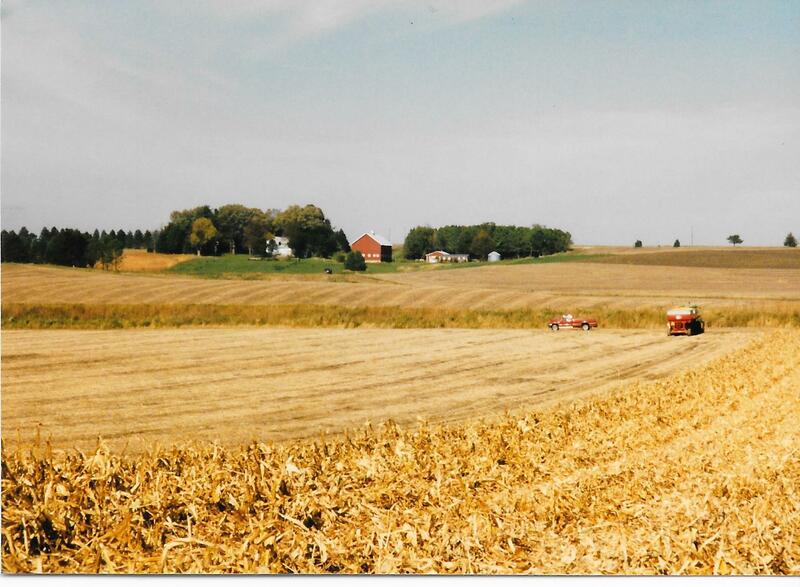 Year by year, the farm became more productive of corn and wheat, deer and pheasants, songbirds and ducks. My mother shone in glory on Thanksgiving amid the roasted turkey, green tomato mincemeat pies topped with hard sauce, roast carrots, mashed potatoes, silky gravy and cranberry sauce. Cousins and aunts from town joined our table and afterward the adults played bridge and children played Monopoly and Parcheesi. For many years in the 1950’s, the television station ran The Wizard of Oz on Thanksgiving. We loved the tornado scenes. As my siblings and I grew up and married, our spouses and children replaced the cousins around the table. But some things didn’t change. November is still the grayest month in Minnesota—cloudy, cold and damp. At times, depressing. 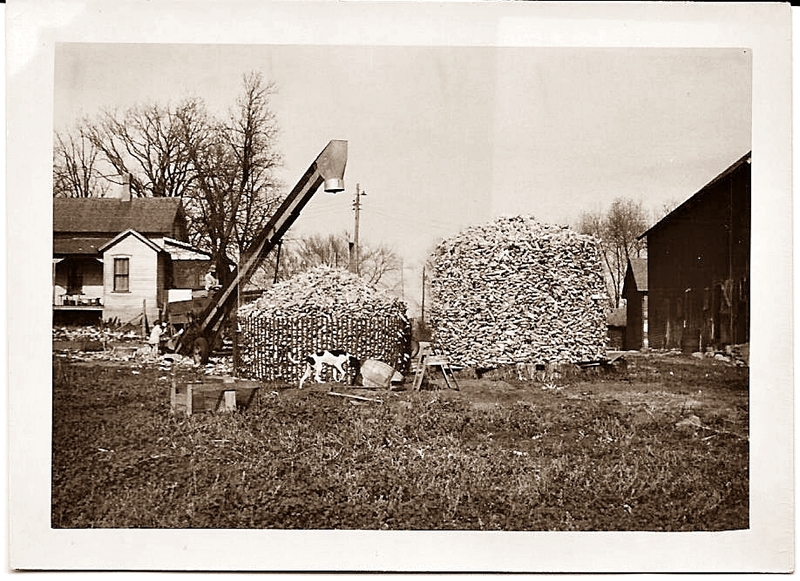 On Thanksgiving mornings, Dad and I still went outside to do some light chores, such as splitting and hauling firewood while mother, sister and wife finished preparing the food. Out came the good china, the monogrammed silver and crystal. These familiar roles and routines gave as much comfort as the food. A confirmation. We knew who we were, where we were and why we were thankful. When all was ready, we bowed our heads and dad said a grace over the important things. Then the platters and bowls circled the table and our plates vanished under piles of mashed potatoes, slices of turkey, peas and smooth gravy. Looking out of the windows, I saw our newly plowed fields stretching to the river. Sometimes snow dusted the furrows and sometimes not. Yet the cloudiness never dampened our gratitude. We had the fields, the palpable connection, the umbilical between our livelihood and abundance. We celebrated the last on-farm Thanksgiving in 1997. 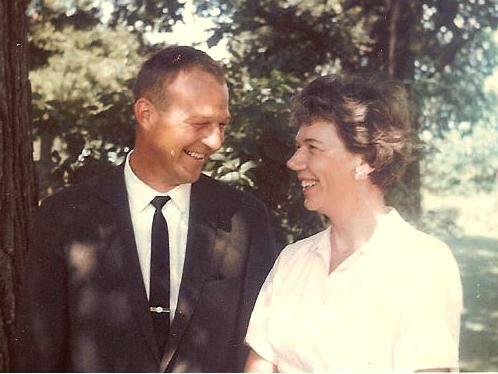 Mom and Dad were retired, no longer immortal but as lively as ever and wiser for their experiences. Arthritis crippled my mother at 80 but she was still a game chef. Dad and I still went outside to finish some chores, fewer now than in years past. 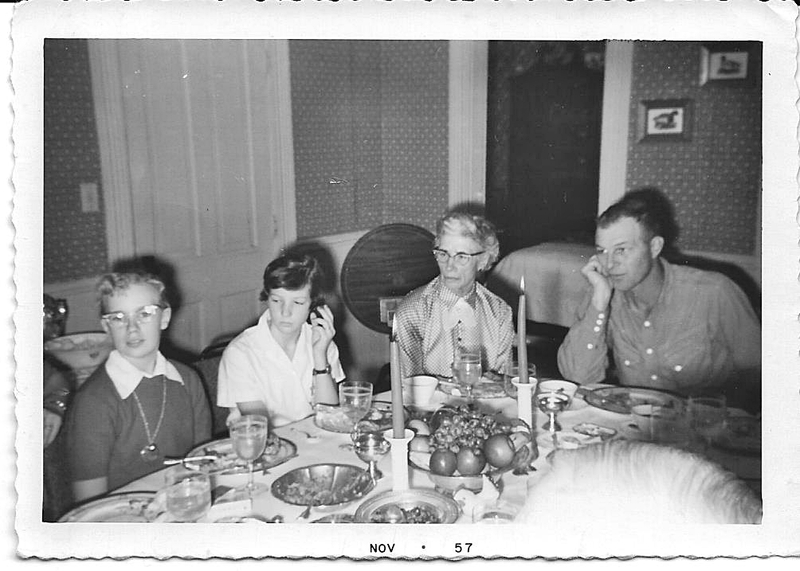 Thanksgiving, between helpings of turkey and pie, I realized this was the last time I would sit at this table and see the furrows, black and rich, awaiting spring. Gazing out and across the fields, I saw for last time the farm as it had formed me. Come spring, a crew would seed the fields with prairie grasses and plant clumps of oaks. This pleased dad but I felt melancholy—like the death of a friend—the permanent loss of intimacy with the living soil that had long sustained us. Was I thankful? Yes, always! But I was more than thankful. I felt grateful and my gratitude grew from our intimate relationship with the soil. 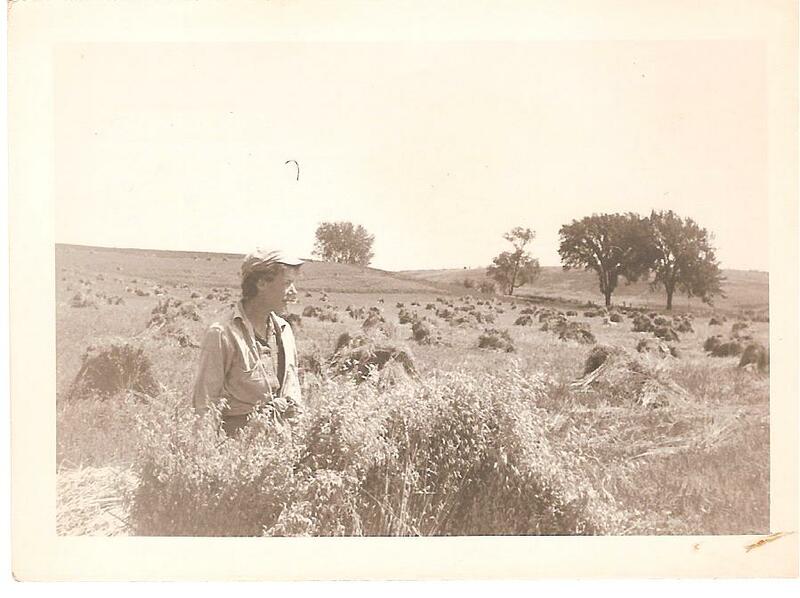 Dad thought of loam as magic stuff, a community of organisms that, with the sun, released life-building nutrients to produce fields of corn, soybeans, wheat and alfalfa. He held the soil as in a trust. Now, he was retiring the fields he retired. Gratitude comes with humility and humility comes from recognizing you aren’t so self-sufficient that you don’t need the aid of anyone or anything. We are all part of an interdependent web of life. Our soil neither promised nor gave us a crop unless we collaborated with its organisms to produce it. We were married to the loam and tended it so it could tend, feed and sustain us. I said a bittersweet goodbye to the farm that Thanksgiving. After 20 years, I still miss the palpable fulfillment of feasting in sight of newly plowed fields dusted with snow. I still miss feeling connected to a plot of soil I worked to produce corn, soybeans and wheat. I miss the spontaneous gratitude that comes when we were spared the worst of the weather. Or, if we were struck, gratitude for our recovery from it. Most of all, I miss the sense of life living with the land and not off the land. And with that, I miss the simple joy of life lived knowingly along the tenuous margins of security. Thanksgiving on the farm taught me humility that prepared me to be grateful. On this day, a slice of humble pie still satisfies the soul. Glorious an overused adjective that applies to anything. This time of year, “glorious fall color’ is pasted to descriptions of maple leaves turning red and yellow in New England. And the noun of miracle is forced to serve as an adjective to shill for cleaning products, over-the-counter drugs or products of questionable efficacy. Despite these banal uses, a genuine and glorious miracle happened today. My friend Beatriz raised her hand and took her oath of citizenship. The ceremony closed a circle that began 10 years earlier. Beatriz lives with faith in a just universe. She was a frightened Mexican mother of three on the cusp of deportation when we met in a church pew in 2008. She had no lawyer. Because of my career in government relations, our priest wondered if I could help her. What could I do? I had no experience in immigration law nor had I ever advocated for a person. When I said yes, I worried about what unseen personal entanglements might follow. What did she expect of me? I began uneasily but she quickly put me at ease with her intelligence, modesty, candor and English. We met often at first and went through reams of information on her civil rights. She called attorneys but none took her case because it seemed unwinnable. Her greatest fear was separation from her daughters. What would happen to them? Having two daughters of my own made this case personal. For the next three years, worries and legal setbacks tried my patience and tested her faith. Then an attorney took her case hoping to secure her status using a recent court decision. We went to court half a dozen times. On the day of her hearing, she came to court after working all night to help a woman in labor. Under withering government examination, she answered questions calmly and graciously. Then she returned to help the woman in labor How did she do it? She gave birth to twins and, six months later, she and her husband divorced. Then the judge denied her petition and left her vulnerable to removal. A single mother of five girls, she worked two jobs to support them and pay the mortgage. But she had one more chance. Because of spousal intimidation during marriage, she applied for a visa under a provision in the Violence Against Women Act (VAWA). The immigration judge seemed skeptical but agreed to consider her application. Beatriz continued working as the request inched its way through the legal system. She suggested meeting for lunch one day in 2013, the start of our fifth year on this this journey. The news sent me reeling. 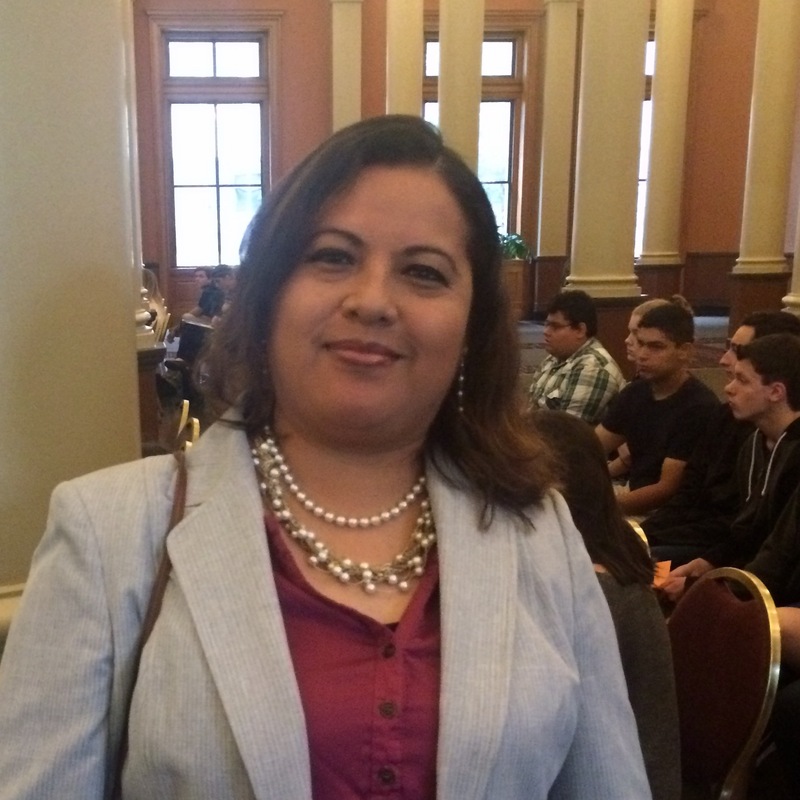 We had hoped for the visa–but a path to citizenship! She ordered a piña colada to celebrate. Two years later, when he twins entered pre-school, Beatriz juggled motherhood, two jobs and a full course load in criminal justice at a nearby community college. In May, I sat with her daughters in the college field hall and watched Beatriz, in robe and mortar board, accept an Associate of Arts degree with highest honors—4.0. She is the first in her family to earn a college degree. As she basked in the congratulations of family and friends, she was already enrolled in university classes to complete a B.A. degree. Today was the first time together since graduation. She arrived eyes bright, smiling and wearing a fashionable suit with high heels. We spent an hour before the ceremony catching up our lives and those of our children. She still worked in security at the hospital but over the summer she bought a business. A wine and liquor store. What?! Is there no end to this woman’s energy, imagination and courage? She was looking for another opportunity when this one came on the market and hired her brother and sister to run the store. “I’m still learning a lot as we I go along,” she said, oblivious to the understatement. What happened to the frightened young mother I met a decade ago? She is now a confident and accomplished woman of 40, unafraid to try new ventures. Her daughters, whom I’ve known since infancy, are cut from the same cloth. Her oldest, a high school senior, is taking college classes and receiving offers from A-list universities. She wants to be an astrophysicist. Beatriz’s story is a glorious miracle. We think miracles come as bolts from the blue but I think most of them are quieter and last longer. Her miracle is glorious because she lives with faith in a just universe. She isn’t a Pollyanna or Candide depending on wishful thinking. Her faith took full account of the political, legal and practical realities before her and, no matter how daunting they seemed, she faced them one-at-a-time drawing on a tireless inner strength. Never in 10 tumultuous years did I hear a word of compliant, self-pity or doubt. She thanked me for my support and I was more than glad to give it. For Beatriz, the journey takes her toward her vision of better life. And I have the honor to be her compañero or companion on the way. In her company, I learned lessons in faith, humility and courage; and had the privilege of living something of an immigrant’s inner reality. Along the way, I came to see myself, my country and immigrants from another perspective. Beatriz is an avatar of the kind of person who in their millions made America great. Her vision, drive and humility are the qualities that made our diverse nation what is and—I hope—what it will continue to become. People who knew my father often said I was the ‘spittin’ image’ of him. And there was some truth to that. We walked with similar gaits, we were similar about the eyes, though his were blue and mine were brown. Beyond that, however, we diverged. Dad was an extrovert while I enjoy solitude as much or more than company. Since the advent of DNA tests, ‘spittin’ image’ takes on a new meaning. For a long time, I ignored the offers to send my DNA to the genealogical company to learn about my ancestry. My family tree is well-documented back to England in the 1630s. 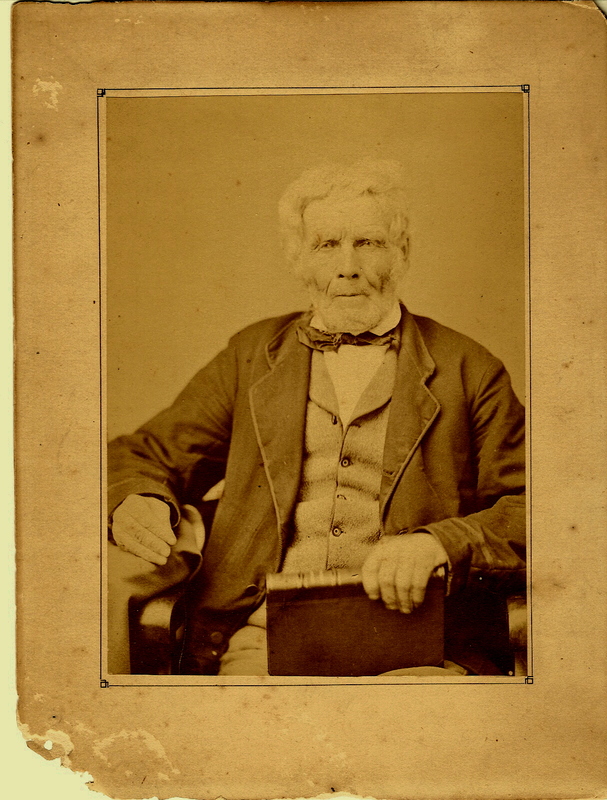 I recall my shock and disbelief when I discovered my father’s earliest ancestor (Abraham Newell) and my mother’s, (John Livermore) arrived in Boston on the same ship. They were English Puritans fleeing the persecution of Archbishop William Laud. They must have become acquainted during their three-months voyage before landing in Boston and going their separate ways and intermarried Puritan descendants in New England and New York. The last immigrant to marry into my family came from England in 1814. My parents married in 1941, uniting two families who voyaged together 305 years earlier. I gave in, ordered the kit, spit into the tube and sealed the sample inside its mailer. Why am I spending $79 for this? I wondered. 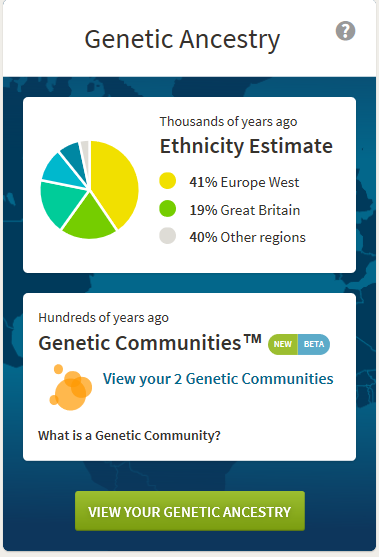 What can it tell me about my ancestors that I don’t already know? I sent it off, confident of the results: a preponderance of British DNA with soupçons of French from the invading Normans and maybe a drop from the marauding Danes. With surnames liked Searle, Christie, Livermore, Baldwin, Cook, Eliot, Stewart, Smith, Wheelock, Wood, Douglas, Taylor and Warren, I had no doubts my family originated with the English and Scots. Searle is one of the commonest of English names–like Anderson in Minnesota. My extended family tree included only one set of Dutch ancestors and that one very recent. We came from what was called ‘good Yankee stock,’ a phrase better fitting the bull of highland cattle. What they meant was, we were white Protestants from Britain or maybe the Netherlands. Six weeks later, when the email with my results arrived, I opened the link to see a colored pie chart before me. Things aren’t always as they seem and neither am I. A large lemon wedge—41%—said West Europe (France, Netherlands), an apple green wedge—19%—said British (English, Welsh and Scottish), and a gray wedge—40%—said ‘Other.’ That’s me? Not what I expected! And what’s in the ‘Other?” That category included 18% Irish, 11% Scandinavian, 7% East European and 2% (possibly) Italian. In the State of Minnesota, it’s useful to claim some Scandinavian ancestry. Call it street cred. Besides, it’s good for my marriage since my wife’s great-grandparents emigrated from Norway. What does this mean in the end? Or doesn’t it mean anything? Regardless of what the DNA tells me about my past (and it’s fun to speculate and wonder), my identity is determined by where I live, whom I live among, the language I speak and the cultural norms that guide my thoughts and actions. You and I are creatures of the present time. Our strains of DNA entered our family lines long before recorded history when the coastlands and rivers were the crossroads for traders and raiders, for people seeking refuge from other groups or finding good land for crops. The Saxons, Frisians, Franks and Gauls settled in Britain before the collapse of Rome. Migration and trade after that deepened the mixture. The various genetic strains represent peoples and cultures that, like yeast in bread dough, are invisible but inextricably bound up with the mass of flour and water. Unless our ancestors and immediate family lived in extremely isolated communities, it’s probable our DNA contains many contributions from varied sources over time. Were it possible (and I wish it were), you and I might look back in time to see our common ancestors and their struggles or even the moment when they received the genetic link that binds us now. I know that moment was there—is there—but we can’t see it. How you and I see each other has more to do with culture and language than invisible DNA. Yes, we may notice differences in racial traits at first but, unless either of us is a bigot, we aren’t likely to linger for long on skin tone or the shapes of eyes and noses. We will be listening to expressions of values, ideas, opinions, humor among many other traits. You and I will know the other by our demeanor; whether we smile or glower, act kindly or harshly, with modesty or egotism. These things will quickly tell us whether we are apt to be friends. I have no idea where my most ancient origins began. My veins don’t run with the ‘pure blood’ from any group—and it’s likely yours don’t either. Though we are free to interpret our past as we choose, there is at least one over-riding lesson we can draw from our DNA. Racial purity is a lie. You and I probably share a relationship much closer than we may suspect because it isn’t obvious on the surface. But if we pay attention to our DNA, we can’t sustain the fiction that we are so different from others as to put them in a separate category. There is no ‘other;’ there is only ‘us.’ Our DNA makes us children of many fathers and mothers; at the level of our DNA, we are the ‘spittin’ image’ of each other. To most people, June 6 is D-Day but, in my family, it’s Mom’s birthday. 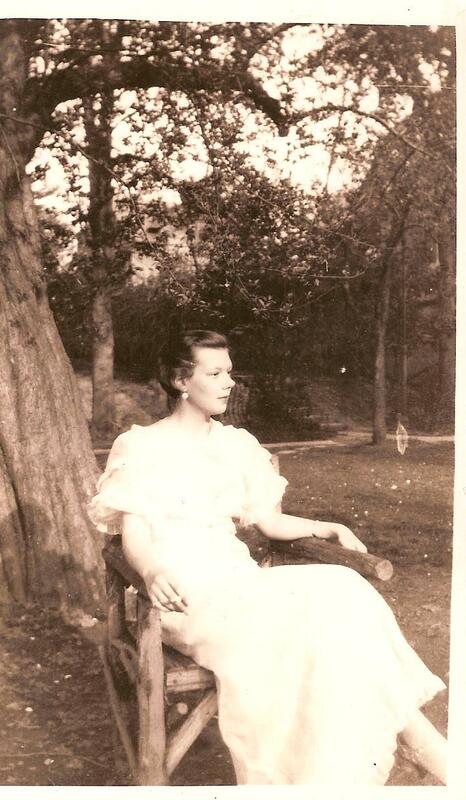 Born Janette Elizabeth Christie in Montclair, New Jersey, she would be 100 today had she lived. Why do I pay special attention to her birthday 17 years after she died? A century mark is a reminder of our connections forward and backward through time. My mother knew people who had fought in the Civil War, and sailed on schooners; her father gave her rides in open cockpit biplanes, and she watched men walk on the moon. She grew up at the end of WASP era of social prominence in her grandmother’s Victorian house where domestic servants cleaned, cooked, gardened, and kept an eye on her. Her family ‘summered’ by Lake Piseco at the Irondequoit Club in the Adirondack Mountains where she learned to fish for trout and shoot a rifle. A bright student, she skipped a grade, spent her 13th year in France with her aunt and uncle, and returned home, a francophone. Thanks to her grandmother’s generosity, she graduated from Simmons College, a private institution that prepared women for the professions. She chose library science, and her peers chose her as president of the student body. Although she graduated with highest honors, we knew nothing about that until we wrote her obituary. Warm air, sun, thawing ground, April 1947. “Just call me Jane,” she said as her introduction; Janette Elizabeth appeared only on legal documents. Jane is a solid, everywoman name that fit her well. It doesn’t sound snooty and pretentious, like Janette. She married in 1941, and passed the war in New Jersey. 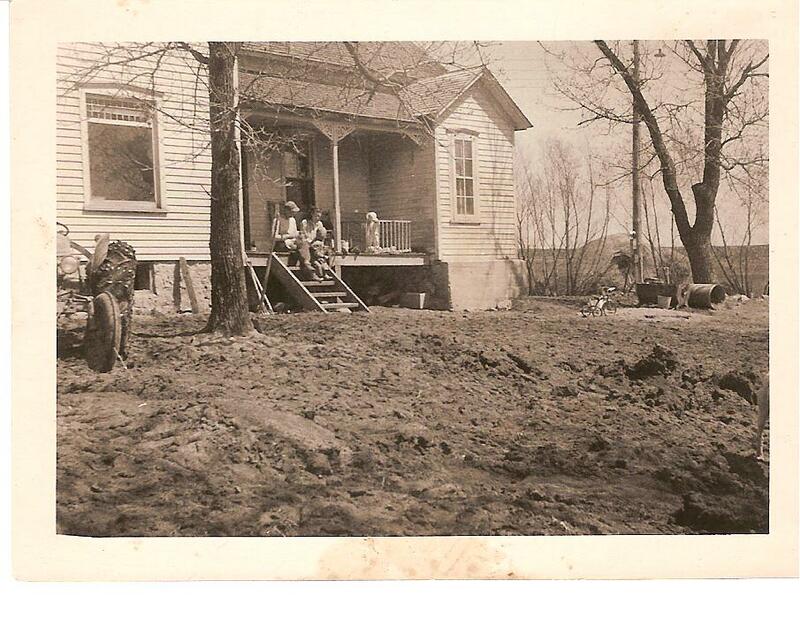 Afterward, she, my father, and her brother bought a farm in Minnesota, although neither man had any experience. She agreed to this—provided the house had central heat and an indoor toilet. Over parental opposition, they pooled their life savings and bought–sight unseen–280 acres of eroding fields, sloughs, cut-over woods, a sluggish river, and shabby buildings. 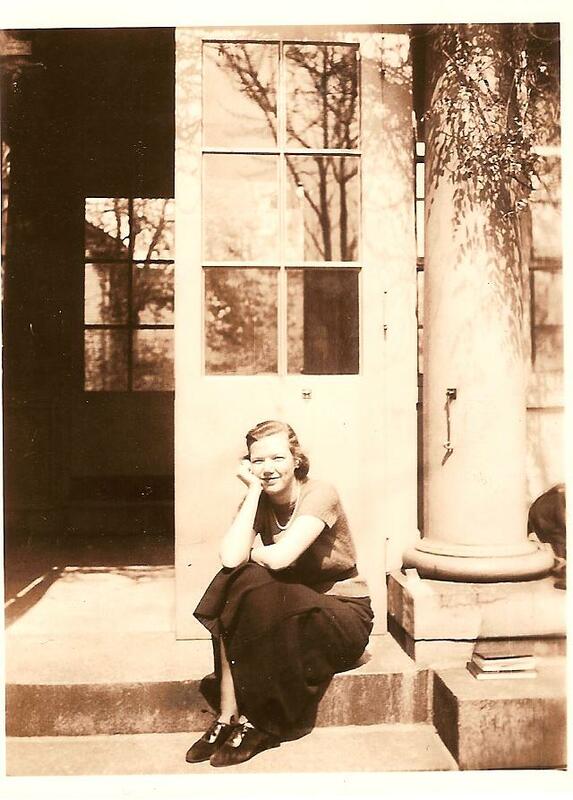 On April 10, 1947, Jane, my Dad, my sister and I arrived in Minnesota at the play they called ‘The River Farm.’ Never did I hear her utter a regret over trading the wealth and status of Montclair for life on a Minnesota farm. Jane shocking oats for threshing, 1950. She kept the farm accounts, cooked, raised children, drove tractors as necessary, fed lambs with a bottle, gardened, and canned vegetables. She hosted meetings of the University’s Home Extension Service. Jane knew who she was and easily made others comfortable regardless of their background. She wasn’t afraid to ask questions of better-informed farm women with 9th grade educations. Jane simply engaged them where they were and went from there. She made fitting in look easy, focusing on values rather than possessions. After she died, we discovered fine silver and crystal I had never seen stored in the basement. It was like her to think the silver platters from Tiffany’s were out of place in a Minnesota farmhouse. The legislator’s advisor, critic, and editor. 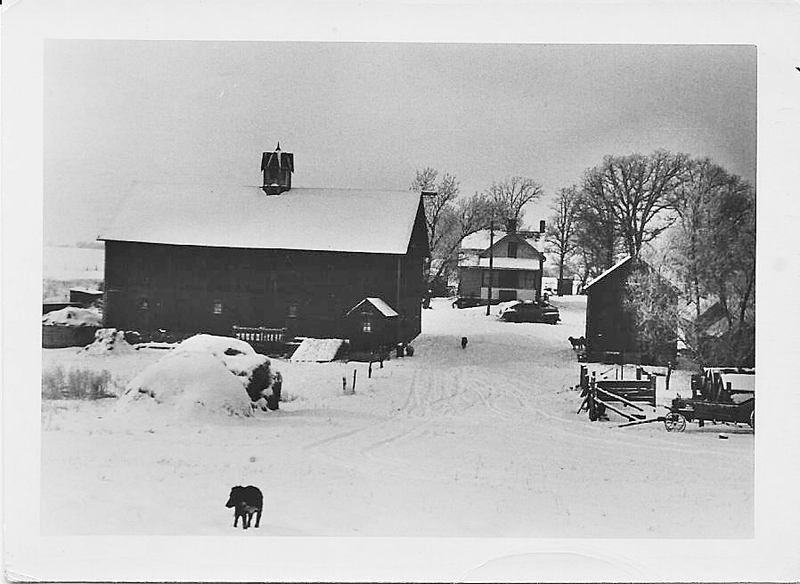 Jane lived at The River Farm for 53 years until her death in October 2000. On that bright autumn afternoon, she lay in her bed, looked out the window, and her spirit drifted across the fields to the river and into the trees beyond. We buried her ashes in the woods near her mother, brother, and aunt. Later, my father joined her. It is a quiet opening on high ground where woodland phlox bloom in June, and song birds call. 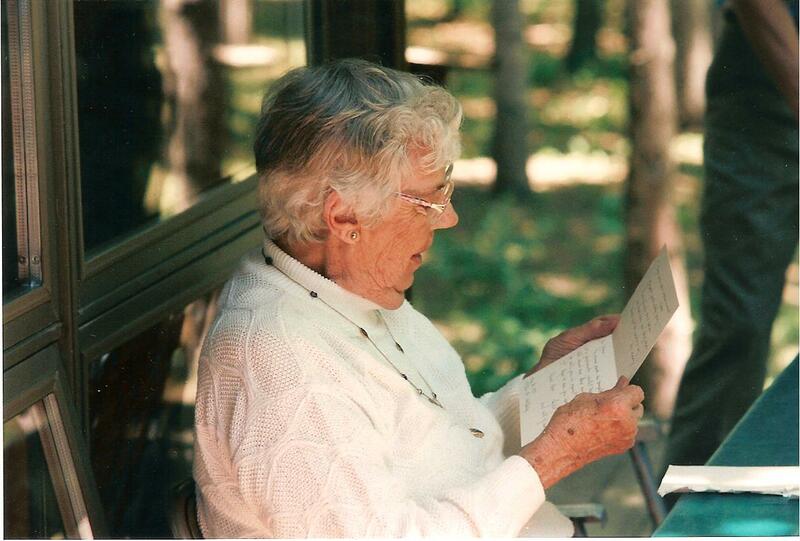 Jane reading a letter on the porch. “Just call me Jane” was her calling card. She planted her life at The River Farm, and bloomed with values, virtues, mores, and manners that she gave as gifts to her children. Her presence was a gift of unmerited grace, and pausing to recall and celebrate Jane is like a Pentecost, a moment when the fires of love, compassion, and grace rest on us like tongues of flame.